Football tactician Jose Mourinho has revealed the culprit in the departure of Egyptian attacker Mohammed Salah from Chelsea to Roma. The Portuguese tactician has been accused of allowing high profile performers at Chelsea to depart the club during his managerial reign with Manchester City’s Kevin De Bruyne, Manchester United’s Juan Mata and Liverpool’s Mohammed Salah. However, the former Manchester United manager has come out to reveal who actually sold the Egyptian prodigy. In an interview with Bein Sports, Mourinho said: “When the club decided to sell him, it was not me. I bought him, I didn’t sell him, and my relationship with him was good, is good”. Mohammed Salah has been instrumental to Liverpool’s form in the current Premier League season with 2017/2018 top scorer providing crucial goals and assists that have kept the club in the prime position to win the league. 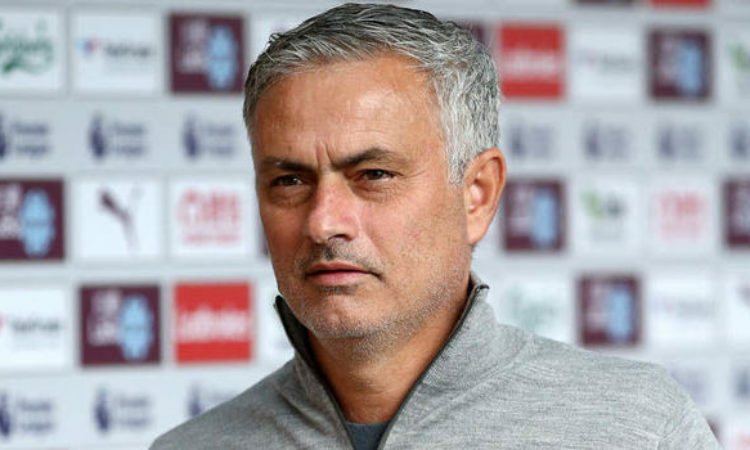 Mourinho further revealed that contrary to the notion that he hated the player, he fell in love with the attacker even before he arrived Chelsea. He added: “Lots of things have been told that are not true. People try to identify me with the coach that sold Salah; I am the coach that bought Salah. It’s completely the wrong idea. “I pushed the club to buy him and, at the time, we already had fantastic attacking players – [Eden] Hazard, Willian – we had top talent there. But I told [Chelsea] to buy that kid. The Portuguese tactician further disclosed that Salah was a lost kid in London as he lacked playtime at Chelsea as of then. “He was just a lost kid in London. He was a lost kid in a new world and we wanted to work him to become better and better and better but he was more in the idea that he wanted to play and not to wait.